← Trail Runs and Hills! Calming All Storms Through the Eyes of a Runner. Wind whispers through the tall trees. Oaks and maples blowing, the pines standing firm. Clouds grow dark to my right and ever light to my left. Temperature drops as the air begins to smell of rain. Crickets chirp and the bugs begin to settle. Knowing it is coming. The porch swing rocks me. 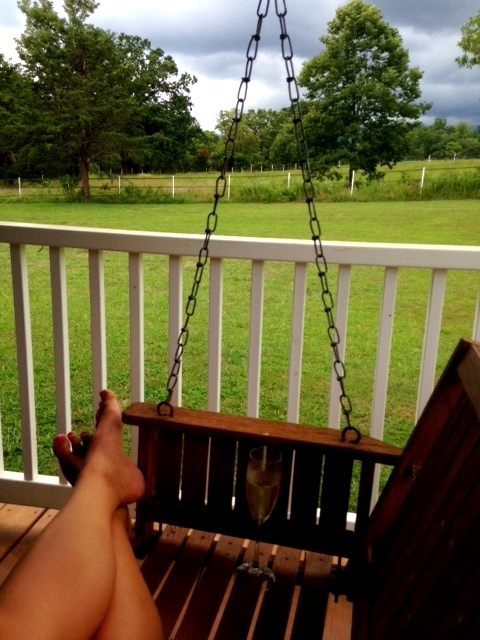 A mix of that, champagne, and bird song lull me. Mind goes blank as those fresh drops of rain begin to fall. Replacing the sound of birds with sound of droplets. I close my eyes and remember. All the times I have done just this. Closed my eyes and listened to the rain. Summer breeze causes my hair to tickle my face and my smile to stretch across it. I am happy. So blessed, joyful, in wonder, but most of all hopeful. For what? I don’t know yet. But that is where trust comes in. It’s good to be home, to be in the country, to be in the quiet. This storm shall pass and all will be green soon. I cannot believe I’m about to start my senior year of college at the Wharton Business School. Three years ago this time I was worrying about what to pack, how I would adjust, if I’d like the city, if I would make any friends… This year as I contemplate what I’m worried about, I honestly can’t think of one thing. Yes, I’m not looking forward to finance, to job applications, and to the actual process of moving, but I’m genuinely not worried. It’s it ironic that it took me going to the hardest business school in the nation, an Ivy League school, and a city to finally realize what God means when he tells us not to worry. God loves us so much that he sent his one and only son for us. If he is willing to sacrifice his own son for us, what in the world would make us think that when we are going through a tough patch on this earth he doesn’t have it. Our God is a God of love. No one wants their loved ones to worry, least of all the God of the Universe. Yes, storms will come. Whether they are the beautiful summer afternoon shower like the one I’m sheltered from, or those terrible winter blizzards, they will come. But they will pass. 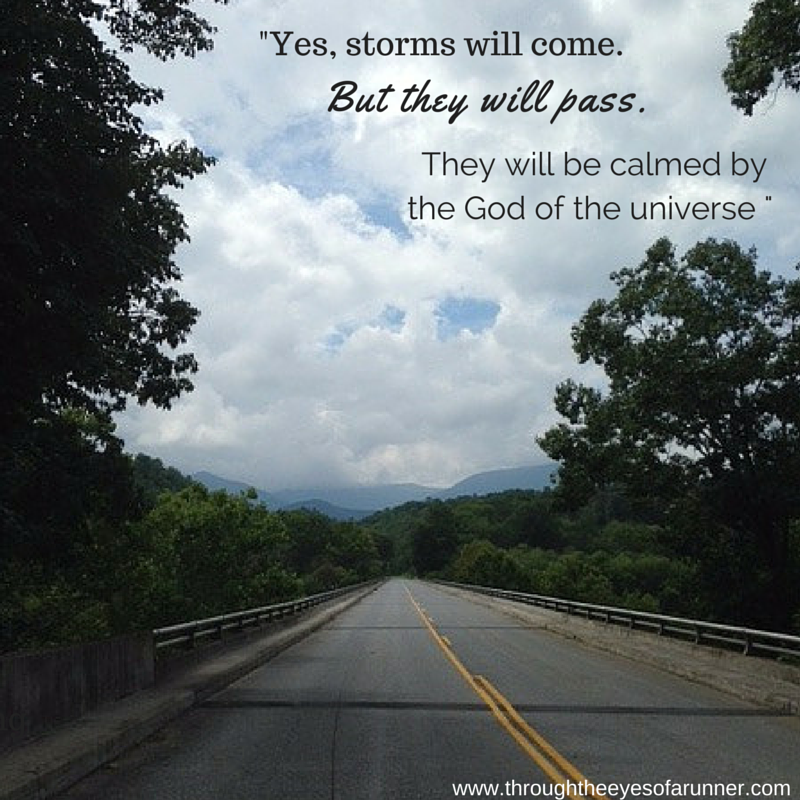 They will be calmed by the God of all. Lord, thank you for calming all my storms. So as I sit here thinking about the year to come watching the storm roll in, I will not worry. Instead it is time for me to sign off and sing praises and thanksgiving to the Lord of my life.